Select a Park City city below to access Park City houses for sale and MLS Listings, sponsored by local real estate brokers and agents who can also help you with Park City Area Foreclosures, New Homes, and Condos. There are 6,900 housing units in the Park City Area, UT. Find Park City Area Foreclosed Homes and save up to 50%. Search now! 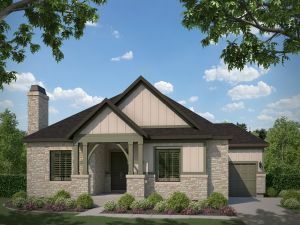 Search for Utah New Homes and new home communities from America's premier builders. Check Park City home prices and view Park City Real Estate on HomeGain. Search Salt Lake City homes for sale to view current real estate listings, find Salt Lake City real estate for sale in the MLS, and check Salt Lake City home prices, including recent home sales and nearby sales. Search Provo homes for sale to view current real estate listings, find Provo real estate for sale in the MLS, and check Provo home prices, including recent home sales and nearby sales. Search West Jordan homes for sale to view current real estate listings, find West Jordan real estate for sale in the MLS, and check West Jordan home prices, including recent home sales and nearby sales. If you are planning to buy a home or sell a home, use HomeGain to view Park City Area homes for sale. HomeGain has the most complete index of Park City Area real estate listings on the web to help you find a home or get a sense of current Park City Area house and property values. Our listings include Park City Area houses for sale, condos, Park City Area new homes and foreclosures. In many areas, we give you direct access to homes for sale on the Utah Multiple Listings Services (MLS), the source real estate agents use to view listings.